The Institute will focus on the era's array of visual media--including the fine arts, ephemera, and photography--to examine how information and opinion about the war were recorded and disseminated, and the ways visual media expressed and shaped Americans' understanding on both sides of the conflict. Guided by a team of four faculty that represents the range of work in the field, Institute participants will hear daily lectures and presentations by noted historians, art historians, and archivists; take part in hands-on sessions in significant museums and collections; and attend new media lab workshops. 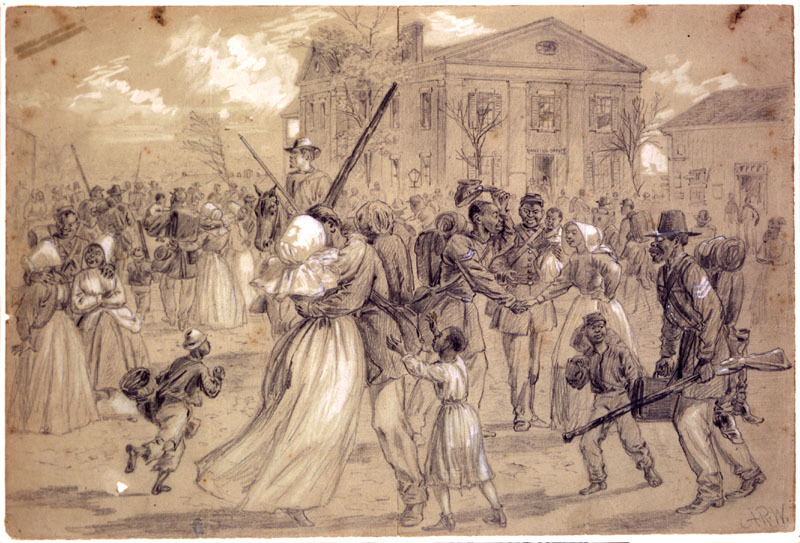 These Institute activities will introduce participants to the rich body of scholarship that addresses or incorporates Civil War era visual culture, encourage them to explore avenues for further research in the field, and assist them in developing their own research and/or teaching projects. Reading assignments preceding and during the Institute will prepare participants for full engagement in the Institute's discussions and activities. And time will be provided to prepare individual projects, undertake research at local archives, and meet with the four principal institute faculty members as well as guest speakers. The institute will meet from July 11 to July 22, 2016 at the CUNY Graduate Center (34th Street and Fifth Avenue) and other archival and museum sites around the city, including the New-York Historical Society, the New York Public Library, and the Metropolitan Museum of Art. Faculty and visiting speakers include: Lynne Zacek Bassett, Joshua Brown, Sarah Burns, Keith Davis, Gregory Downs, Thavolia Glymph, Lauren Hewes, David Jaffee, Ari Kelman, Maurie McInnis, Megan Kate Nelson, Kirk Savage, Susan Shulten, Scott Manning Stevens, and Richard Samuel West. Full details and application information are available on the ASHP/CML Institute website. For further information, please contact Institute Director Donna Thompson Ray at dthompson@gc.cuny.edu or 212-817-1963. Completed applications must be submitted via our online application system or e-mail or postal mail no later than March 1, 2016 (postal mail must be postmarked by March 1). ASHP has received funding from the Arthur P. Sloan Foundation to further develop the CUNY Digital History Archive , a participatory project to create, collect, and conserve the histories of the City University of New York. This open archive and portal gives the CUNY community and the broader public online access to a range of materials related to the history of the City University of New York. The CDHA will make available materials contributed by individuals whose lives, in diverse ways, have shaped and been shaped by CUNY. Faculty, staff, and students have fought to sustain the university’s democratic mission and one of the goals of the CUNY Digital History Archive is to document and preserve the stories of those efforts. This project also involves collaboration with CUNY college libraries and archives that house significant collections and records related to the history of the university. 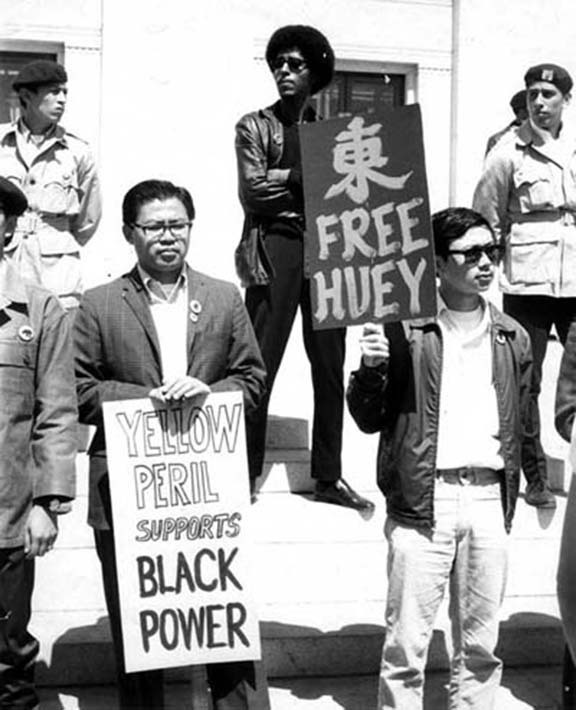 With the support of this grant, we look forward to increased partnering with these libraries and archives as well as to conducting oral history interviews and incorporating contributions from former and current members of the CUNY community. Please contact us if you would like to contribute materials to this project. 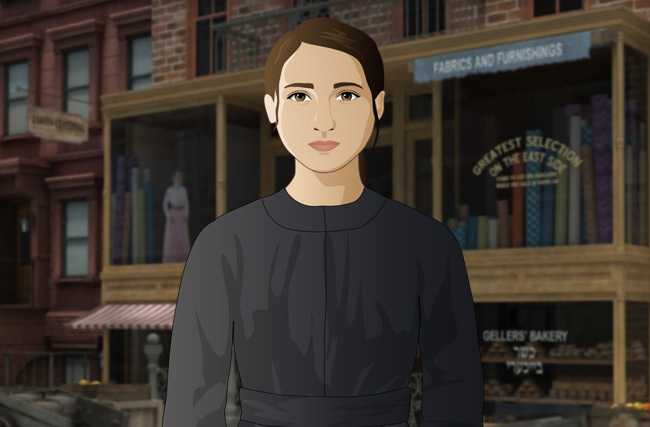 Launched in 2015, City of Immigrants immerses players in the daily life and struggles of Lena Brodsky, a 14 year old Russian Jewish immigrant, on the Lower Eastside of Manhattan during the first decade of the twentieth century, and culminates in the massive 1909 shirtwaist strike. With 1.3 million registered users in middle-school classrooms across the country (including 50,000 teachers), the Mission US programs have been recognized as engaging resources, rich in social history, that promote rigorous learning about the U.S. past, and, along with the Parents' Choice Award, have won the Most Significant Impact Award from Games for Change, the Japan Prize honoring the best of educational media, and the Editor's Choice Award from Children's Technology Review . To make badges more accessible to those unfamiliar with online professional development, we’ve also introduced a new set of entry-level lesson builder badges. 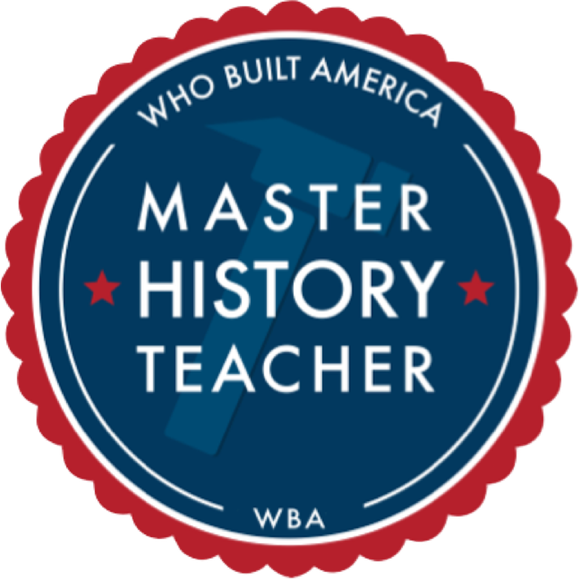 Lesson builder badges allow teachers to design their own U.S. or world history lessons and focus their instructional design on a specific disciplinary literacy skill. See our WBA Badges page for more information about this new structure. Educators throughout the country are already using the redesigned site, including the New York City Department of Education, which approved our new badge courses for their After School Professional Development Program last fall. We’ve improved the visual layout of the site, optimized it for use on tablets and other mobile devices, and redesigned the search functionality with more accurate and filterable search results. And teaching activities are now sorted by pedagogical strategy and include a description of how best to implement each in the classroom. In addition to changes to the site’s design and functionality, we’ve also added new content to HERB , including a collection on Mexican immigration in the early twentieth century and a collection on Cuban immigration and Puerto Rican migration to the United States. We hope these changes will improve the overall user experience and make this rich resource accessible to even more history teachers in the future. ​ASHP is pleased to be participating in an ambitious social studies curriculum writing project currently underway at the New York City Department of Education. 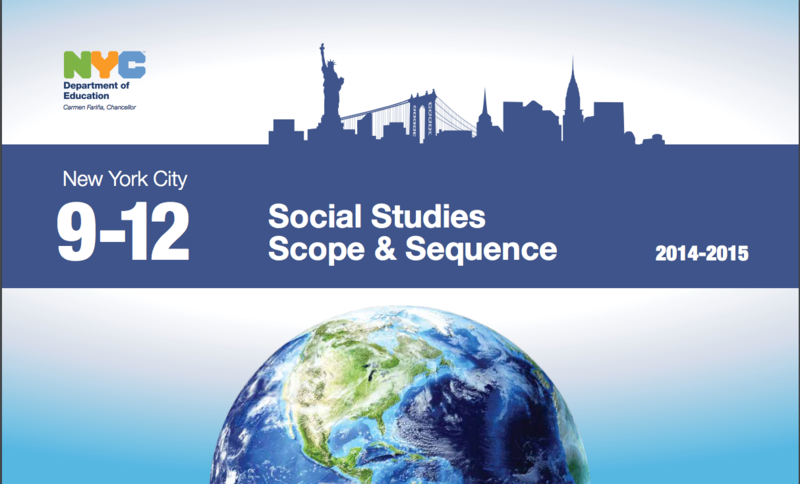 NYCDOE's centrally-based Social Studies team, led by Executive Director Eric Contreras, has selected a group of social studies teachers representing grades K-12 who are writing model curriculum lessons and units to align with each year in the city's Scope and Sequence for Social Studies. Once complete, these units will be made available to social studies teachers citywide. Since January 2015, Ellen Noonan, ASHP's director of online professional development, has been meeting regularly with the high school grade level teams of curriculum writers to provide guidance and resources for their work. ASHP is also working closely with NYCDOE staff to develop secondary essays to accompany each unit as well as a library of primary source documents that can be used in the grades 9 and 10 global history units.